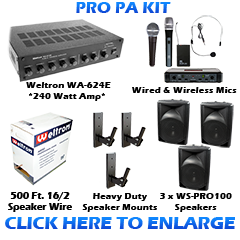 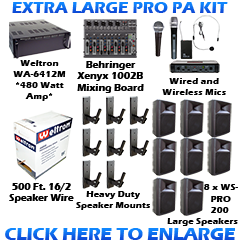 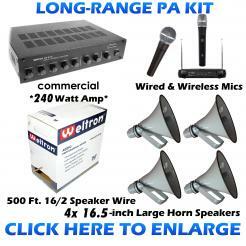 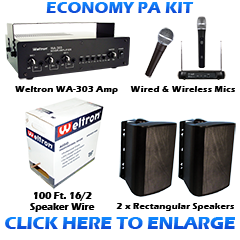 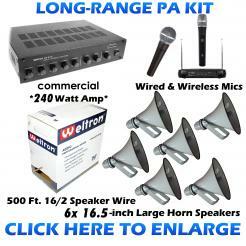 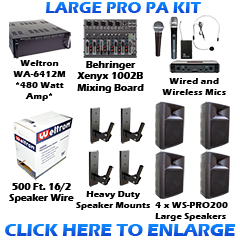 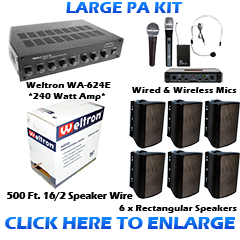 Complete indoor sound system KIT for commercial buildings. 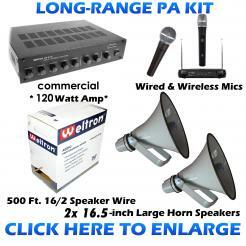 Designed for background music and public address announcements. 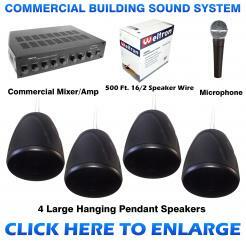 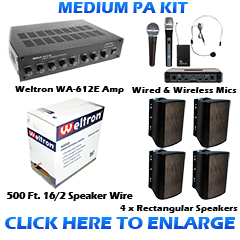 Great for restaurants, bars, salon, warehouse, retail stores.Includes 4 high quality hanging style pendant speakers, amplifier, speaker wire, and microphone and music audio patch cable. 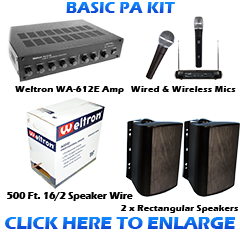 Everything needed for a complete sound system.